After finishing the portable amplifier shootout, a few people asked me if I could do a review on more affordable portable amps — additionally to see how the cheaper ones compare to the flagship $300 and upward-class amps. I’ve listened to a lot of entry level portable amps, and in my opinion the Cmoy design is still one of the best sounding sub $100 portable amp there is. I’ve listened to so many different Cmoys builds, from point-to-point, protoboards, dual layer PCBs, active ground cmoys, to dual mono builds running off of a Sigma11 power supply. Despite the large variance from one build to another, the Cmoys have maintained a good standard of musicality, and I’ve yet to find a Cmoy that sounds bad or unmusical. The main problem about recommending a Cmoy is that it’s a DIY project, while most people look into buying a finished product. Then I found out about the JDSLabs Cmoys, and the fact that they sell either fully built Cmoys or bare PCBs really interests me. John explained that his Cmoys can be built as a standard build, or he can customize it to fit every individual’s needs better. The degree of customization is quite large, as he quoted some number of 200 possible different configurations. I thought, great! Send me one standard built, and send me another one with some customization on it. When the Cmoys arrived, I quickly unpacked the mailer box to see two Cmoys neatly sealed in a neat anti-static bag, complete with the customization notes printed on them. One amp was labeled as the stock build, while the other is labeled as a Low-Z (low impedance) set. The Low-Z amplifier comes with a lower gain than the stock set (Gain 3 vs Gain 6), and also comes with two TLE2426CLPs that gives the Low-Z amp double the current capacity of the stock builds. 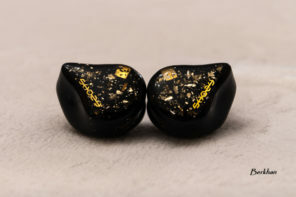 The Low-Ω set therefore is useful not only for IEMs, but also for low impedance headphones such as the 32Ω Grados, while the stock set is better for the other 50Ω and up headphones with relatively lighter current demands. This is the stock build. Everything is properly labeled on the PCB including the input and output switch. Power ON/OFF is integrated into the volume knob. This is the low-Z build with two TLE virtual ground current sources. (The two black transistor likes left to the Bass-boost switch). Although JDSLabs doesn’t guarantee perfect Altoids case on each of their amps, the two I’ve received are flawless and free from dents and chips in the paint. The holes for the in/out jacks, volume pot, LED, and power adaptor jacks are very precise with zero slack. The potentiometer knob is of high quality anodized aluminum knob with rubber trims and clear dot marking. 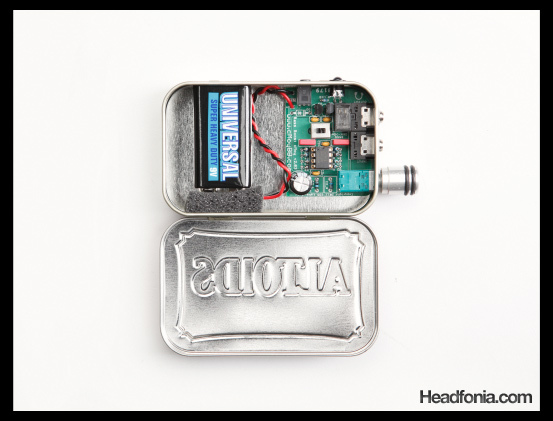 As you open the case, you find the PCB taking up less than half the space of the Altoids case, components placed laid out very clearly on a high quality dual layer PCB with a separate ground plane. The supplied manual is printed on a piece of paper, but it’s probably one of the best product manual I’ve seen in terms of product information for the customers. JDSLabs also supplied print outs of the frequency response curves of the two different amps, along with the configuration notes. There are no labeling on the exterior of the case, but if you open up the case, you’ll see that clear labeling printed on the PCB of what each jack does. Inside you will also find a toggle switch labeled “BASS”, which boost up the bass section by 9.4dB, or “just shy of a perceived 2x increase in bass volume”, as JDSLabs wrote. Next to the Bass boost switch is the op-amp mounted on a DIP format switch. Everything about the build indeed is high quality. The LED brightness is just right, the input/output 3.5mm jacks grips very well and likewise the the DC input jack. The power switch is integrated into the volume control, but another nice touch John added is the positioning of another switch in the headphone out jack. When there is no headphones plugged in to the output, the amplifier will turn itself off, regardless of the on/off in the volume knob. All these bits add up to an impression that John is not just trying to make a quick buck selling pre-assembled CMoys. He truly sets out to create one of the finest Cmoy builds out there. Like most Cmoys I have listened to, the JDSLabs Cmoy take on roughly the same kind of tonality. Overall the tone is medium warm, semi relaxed and smooth, emphasis around the lower mids to midbass with a relaxed treble. Especially worth mentioning is that the JDSLabs is extremely smooth, and above average when compared to the other Cmoy builds I know. I listened to the JDSLabs with the Audio Technica M-50 and the Sennheiser HD650, and the JDSLabs were able to make good music out of both headphones. After spending a few hours with it, I noticed that this Cmoy is totally smooth from top to bottom with no discernible flaws, spikes, uneven transitions, or distortions, anywhere in the frequency range. I got even more curious and so I plugged in the Sennheiser HD800 to it, and like what I noticed earlier, I could not detect anything unnatural or unpleasant throughout the frequency range. The JDSLabs Cmoy was just smooth from top to bottom — and that is very impressive considering the HD800 often still find faults on much more expensive desktop amps. To have such as smooth tonal balance from top to bottom is truly phenomenal, as this little Altoids-cased amp costs merely $60! Perhaps if I were to nit-pick, I would complain about the relatively weak low-bass performance of the amp. But personally that’s just asking for too much from a Cmoy design, as many other more expensive portable amps still have a relatively weak low-bass. The semi-relaxed pace, and the midrange emphasis makes it a good all-rounder amp with a wide genre bandwith. However, heavy fast-paced music fans would probably want a faster-paced amp than the JDSLabs Cmoy. It’s a very clean build in and out. The JDSLabs come with a stock op-amp OPA2227 from Burr-Brown. The stock op-amp is very good and natural sounding. It’s what’s responsible for some of that smooth sound I described in the previous paragraphs. However, I have other potent op-amps that I would like to try on the JDSLabs Cmoy. At first I tried replacing the stock op-amp with the famous OPA627. The 9V battery that comes with the amplifier barely meets the minimum specified operating voltage of the OPA627, and so I found distortions on semi-loud passages. A better idea is to use an external DC power adaptor, which not only eliminates those distortions with non-stock op-amps, but also increased the dynamic range of the amplifier, even on the stock OPA2227. I didn’t use anything fancy here, just a plain 12V wallwart from my Hewlett Packard Printer re terminated to the proper 1.3x3x5mm DC connector. The JDSLabs Cmoy accepts a range of DC power adapters from 9-24V DC, either linear/switching or regulated ones. Seeing that DC Power adapter costs as little as $5.93 from DigiKey.com, it’s probably a good idea to have one around because not only does the 12V external supply gives a better dynamic range, but you can run the amplifier 24/7 without worrying about replacing batteries. You don’t need to unplug the batteries when using a power adapter (what a nice convenience! ), but you need to plug the adapter when the amplifier is OFF. Replacing the stock op-amp to the OPA627 improved the sound, though not by a large margin. A tad better micro detail, and a more weighty lower bass region, though soundstage was not as spacious as on the OPA2227. Another op-amp that I tried was the OPA2111KP, which performs at roughly the same performance level as the OPA2227, but with slightly different tonal balance than the OPA2227 and the OPA672. The OPA2111KP creates a more linear frequency balance that is less mid-centric, but improving the midrange clarity from the OPA2227/OPA627. With a Class-A biasing on the OPA627, the treble becomes very smooth and lush, something treble lovers should try. Class-A biasing is not a recommended configuration if you are using the amplifier without an external DC power supply, as the power drain on the battery would be pretty rapid. Moving around the different op-amps, I really am happy with any of the three I tried: the stock OPA2227, OPA2111kP, or the OPA627 (class-A biased or not). The JDSLabs Cmoy manages to give out a solid and musical presentation regardless of which of the three op-amps I use — though at the end I do think that the stock OPA2227 is my favorite out of the bunch (probably why John shipped the Cmoys with these). Another thing that I discovered is that the JDSLabs Cmoy is very revealing of the original source. Some amps are not as transparent, and this makes source upgrades to better players like the Hifiman HM-602 less audible. But with the JDSLabs Cmoy, that congested midrange out of the Ipod Classic’s DAC always shows itself very clearly, making the HM-602 a much better player for pairing with the Cmoy. Comparing between the standard build version and the low-Z version with double TLE2426CLP, I did notice that the low-Z version handled my 32 Ohm MS-Pro better at loud passages, where the standard build distorts earlier — but this was at extremely loud levels. When I using the more average headphone such as the ATH M-50, HD650, HD800, or the HD598, or even the JH16Pro, I find the standard build version to give a more spacious and open sound, and this was the version I prefer for most of my listening. I am not sure if the difference was caused by the op-amp’s performance at the different gain levels (Gain 6 vs Gain 3), or the different components used to populate the boards, or perhaps because of the addition of the extra TLE2426CLP on the low-Z version. Anyway, I’m sure that John can give a better insight into this, and perhaps even make a low-Z version while still retaining the same sonic performance of the stock build. John mentioned that he is able to do 200+ different types of customization, so I’m sure that the choice is plenty. But if you’re in doubt, just order the stock build version, as I never really had volume control problems (though the range was a bit limited) even with the JH16Pro. The bass boost switch can be found when you open the lid of the case. It’s a toggle switch, and it adds a solid boost to the bass that extends quite low. It’s one of the better bass boost I’ve heard, as many bass boost often just lingers around the midbass area, while others tend to lose control of the bass. The bass boost on this amp actually goes fairly low, and the boosted bass remains fairly tight. It does color the bass area a bit and makes the frequency balance less smooth, so I actually use the JDSLabs Cmoy without the bass boost OFF mostly. Slightly shorter and narrower footprint makes a nice stack together with the Ipod Classic 120GB. One of the thing that people always wonder is how good these Cmoys are compared to the premium brand portable amps. 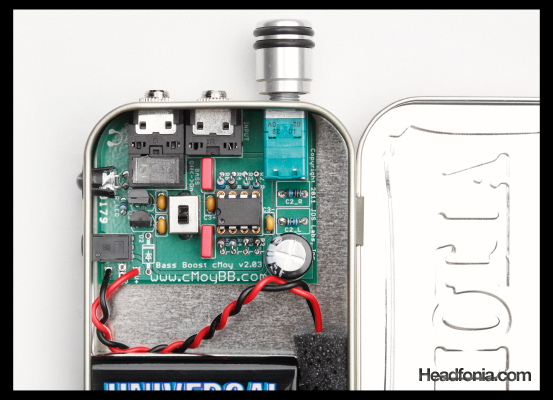 I no longer have most of the amplifiers I reviewed on the Portable Amp Shootout, but comparing the JDSLabs Cmoy to the HeadAmp Pico Slim (with the JH16Pro) reveals that though the Pico Slim has better micro detail, the JDSLabs Cmoy is more spacious in the soundstage. Also comparing the JDSLabs Cmoy to the Ibasso PB2 (single ended) out to the HD800, I found that the tonal balance and the overall sound is not as smooth on the Ibasso compared to the JDSLabs Cmoy. 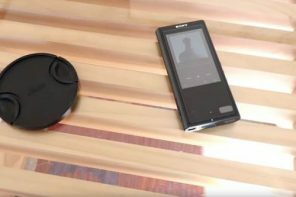 Of course there are other differences such as tonal balance, presentation, or the accuracy of the digital volume control on the Pico Slim, or the power output of the Ibasso PB-2. 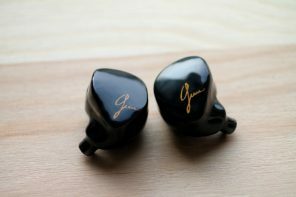 But for the general headphones out there without any specific power demands, I think the JDSLabs Cmoy can hang out with the general crowd of the premium amps. 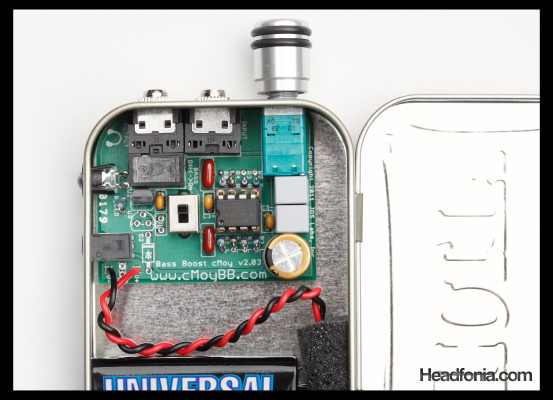 When I emailed John asking about his Cmoys, I was merely looking for a Cmoy that I can recommend to the Headfonia readers: a Cmoy with a good build quality, good sound, and at a good price. But after spending time with the JDSLabs Cmoy, I was truly blown away with the sound that I’m hearing. 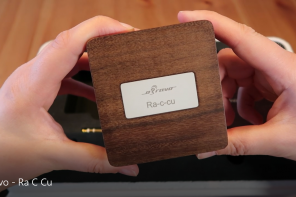 Not only is this one of the best Cmoy I’ve listened to, but the sound is actually very good that I know other people would be blown away when they listen to this $60 amp. It is a really good amp, and I recommend it wholeheartedly. The New Superluxes Are Good! The HD330, HD440, and the HD660. Sure. Still haven’t found an Ibasso T3. I have gotten the Ibasso T3D and there is simply no comparison. The JDSLabs is far far better. Sorry guys. If you want an alternative from the T3, something similar you can check out is the Soundmagic A10 amplifier. 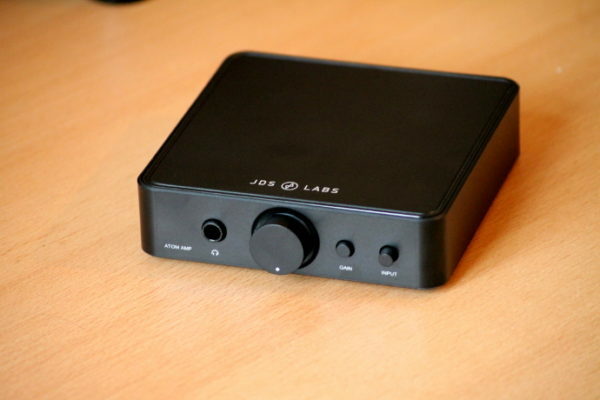 The sound is quite better, and actually quite enjoyable — though it is still one step below the JDS labs. I am looking for the Biosciencegeek Cmoy now, want to make a comparison with. I’ve forwarded your question to John @ JDSLabs. Let’s see what he has to say. I bet you can ask him to customize your Cmoy build to use two 9V batteries. However, two 9V’s are an extremely tight fit in the tin. This makes it a challenge to change the batteries, not to mention the higher cost and weight of an extra 9V. I just read the modifications page.. Excellent, excellent stuff there! I measured the DC offset from my Ipod classic and came out with 7mV for one channel, and 2mV for the other. I think it should be okay to take off the input caps? 7mV is high for an iPod. I image this figure drops off after a few seconds of measurement, but yes, this is reasonably safe for a low gain amp (3-4x). quite *minor* in comparison, am I right? Yes, 7mV is nothing to worry about; even 20mV is fine. However, you have to factor in the amplifier’s gain. At a gain of 6x, source DC offset grows to 42mV! But again, the iPod’s offset likely settles down to 0mV as it is measured (at least ours do). Ahaha, the world of Cmoy 🙂 I’ve build my own RA-1 like, and it’s really pretty. But I noticed that it has a tiny lack of punch imo. Yep. A little lack of punch is common on Cmoys. actually i’d just purchased two PCB from JDS Labs and a bunch of parts in anticipation to try to build a couple of these myself! I change out the output caps at the headphones out to sprague and used opa2227. I would love to read a comparison with the CMOY from biosciencegeek (sells via ebay too), whose amps are $49 plus $6 shipping. Also very high quality and excellent sound, but rather than the bass boost from JDS, BSG uses a hi and low gain internal jumper. I now have the BSG CMOY and like it alot. But I also recently purchased a Leckerton slimline UHA-4, which offers an excellent amp and a DAC, so I may sell or give the CMOY away (to a friend). 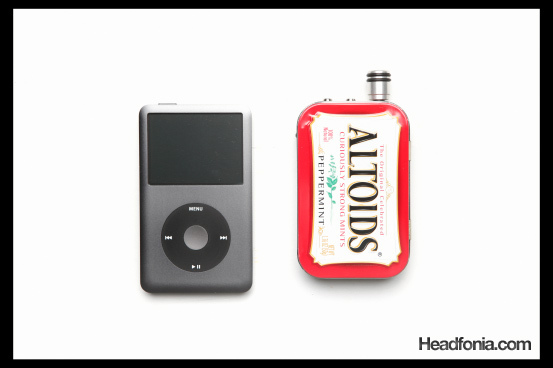 Anyway, my guess is those are the two best CMOYs out there, so it would be great to read a head to head here on Headfonia. Yea, perhaps throw in a big Cmoy comparison. That would be fun! What did you do to get the current the ortho demands? OPA552: 200mA output current, and high voltage power supply at +/- 28 volt. Any other high current op-amp recommendations? With 56 volt supply, voltage swing easily reach more than 50 volts, or +/- 25 volts. Max supply voltage for OPA552 is 60 volts. Another recommended high current op-amp is AD8397 with 310 mA output current, but supply voltage max is +/- 12 volts. Thanks for the input! Will take a look at those opamps later. What C-moy are you speaking about ? Where to find more information / buy it ? He is referring to a four-channel “balanced” cmoy (pseudo balanced, you feed the four channels with unbalanced signals) that he just built recently. 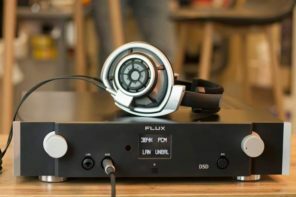 How would you compare the JDS Cmoy + a stand alone dac (alien/Behringer UCA202/m-audio transit/muse…) against the Fiio E7 driving the Superlux 668B? I thought it would probably be a good synergy because 668B have a little bit of recessed low mids and I like warmth. Yes the Cmoy should be a good pairing for the HD668B. I haven’t compared the Fiio E7 with the Cmoy yet, perhaps I can update that comparison later.. I googled “JDSLabs Cmoy” and found many good reviews on this amp. I also discovered that wwenze has written extensively about RMAA measurements and op-amp rollings on this guy. “Engineering is the art of compromise, and this amp did it right. Don’t want output capacitors because they audibly and measurably add distortion, check. A TLE2426 instead of a bad resistor divider in order to avoid output capacitors, check. No need for extra current capability via ground buffer and certain op-amps (you can’t do it without either), saving costs, check. The numbers don’t lie, and this thing is perfect for most sane situations as a portable headphone amplifier. Sure, you can get better performance by paying more, and worse performance while paying less. 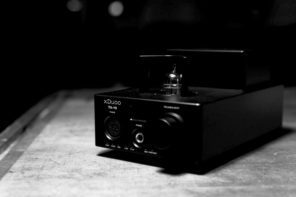 But you don’t really need higher performance, and you shouldn’t stand for worse performance since it is easier to design an amp that performs better than a DAC (that includes portable players and soundcards – anything doing digital-to-analog conversion), so the amp should never be the bottleneck. And this thing smacks right at that point. Getting the job done right at the lowest price. Okay, maybe not really, I would’ve wanted slightly more current. But then again, that’s the op-amp’s fault. though. The OPA2227 sounded better to my ears on the JDSLabs. Damn you’ve got a photographic audio memory! Hm, I wonder how the upcoming Fiio E11 will match up to this? It’s also $60, so it should be interesting to see how they compare. Also, have you had a chance to check how much GSM interference this CMOY receives? Fiio delayed the E11 a few times trying to minimize that. Yes, it will be interesting to see how it compares to the E7. interference, including the expensive ones I reviewed in the shootout. To chime in here, there are ways to audibly eliminate GSM interference. We’re working on a high performance amplifier and have considered implementing such circuitry. However, and this is a BIG however, it cannot be done without impacting audio quality! Perhaps FiiO’s found a way to *minimize* the impact. GSM filtration circuitry also worsens turn on/off transients. These pops must either be ignored, or even more circuitry must be added to achieve perfection! My personal stance [JDS speaking]: Forgo GSM filtration. This is the simplest and most cost effective way to maintain a pure audio signal. So I guess you have made up your mind in comparison to the E7 AND the E11, Mike. Just wish it was a little more practical in terms of charging/recharging, DC power. I hope to receive the Biosciencegeek Cmoy and the Ibasso T3D amplifiers soon. Please stay in tune for a comparison. Looking at the Biosciencegeek eBay page, I think it will be most interesting to compare how the PCB approach (JDSLabs) compares to the point-to-point build of the Biosciencegeek. You have one for me to try out? But I dont think Robert is still making the Penguins, is he? 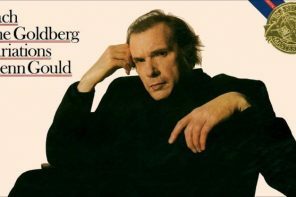 Another question… how is its vocal presence? surprisingly, I think the sound is actually pretty close to your EQ preset except for the small bumps at 4kHz and at 32Hz. It’s a lower midrange centric sound. As for vocal presence, it’s just okay. Not too distant but not too forward either. If you want it more forward you need to bump the 1kHz and 2kHz up a bit. Thanks! I can live with the ok vocal presence because a lot of my music is instrumental anyway. just wanted to make sure this cmoy is close to perfect for me, because I also really wanted to try and build one myself and this looks like its a little complicated, and also costs more to build, according to the JDSlabs sight (but sq is #1 priority and I’m definitely getting it!). oh and btw, according to the garage band eq presets the vocal presence and forwardness is closer to 4k, which is the main reason I bumped it on my eq. Awesome. I personally like buying finished amps, although I also do DIY a fair bit. Less hassle, spend more time with the music. How does this fair against the fiio e5? 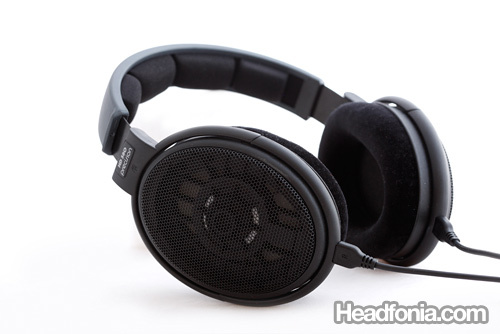 Also,please check the HD595 vs HD 558 vs HD 598 thread. I have some questions i gotta ask you. Much, much better than the Fiio E5. Answered your post on the HD558 article. Mike, I just wanted to say thanks for the great review. I’ve been on the fence about getting a headphone amp for some time to give my trusty old Sennheiser HD-280 Pros a bit more pep, and for $60 decided to give the JDSLabs Cmoy a shot… Especially after seeing that John at JDSLabs originally designed the amp to give his HD-280 Pros more bass. All I can say is “wow,” what a difference. I use them mainly for music and movies/games, and the JDSLabs Cmoy totally opened up my cans. The bass boost also brought in a fantastic low end that was lacking before while at the same time adding a richness to the sound. I love it when people get good sound out of the gears that I review. Just wondering if this amp would work with westone 2 iem. I heard they tend to hiss as their low impedance earphone which do not require using an amp. However im just curious if its possible to improve the sound quality as my Ipod touch 2nd gen is pretty underwhelming. I think what happens is probably the westone sound not working to your liking. The W2 is very easy to drive and shouldn’t require an amp at all. great review. i am using a ra1 clone with a opa627 on a browndog adaptor with my hd650’s. have you heard the ra1 and would a 18v jds labs cmoy be a better option with the opa627 or stock opa2227. is perhaps the build quality, enclosure size, etc. long time, but after I discovered the 2227 I rarely go back to the 627). did you finaly had the chance to get a Biosciencegeek Cmoy? I’m really looking forward to a comparaison. Even if I guess that you could be fine with either of them, I guess the human soul always want to know wich one could be the relatively “better” anyways? the best Cmoy out there. Hi sir, how does this pair up with the hd25 and rock tracks? Thanks! For that set up I recommend the PA2V2 better. Hmm, I can’t source the PA2V2 from where I’m from. Any other suggestions sir? Thanks! Alright sir. Thanks! 🙂 Will email him later. I’m kinda bummed out by the PA2V2 form factor though. amp and I’d just get that instead. 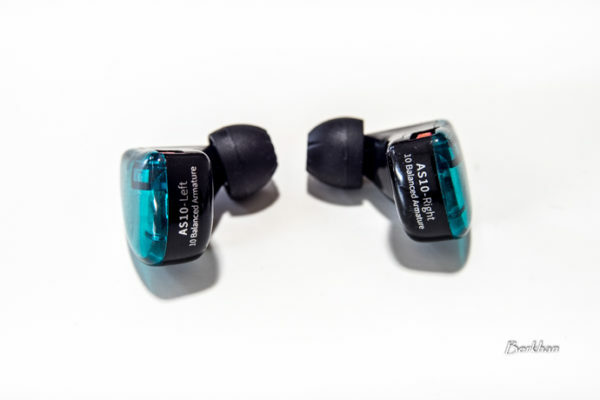 The JDSLabs will help to give a more expansive soundstage on the UM3X. Hi, excellent review! I’m curious though…how does this compare to the many CMOY’s on the internet? Do you recommend any others or is this one an exception? boutique parts. And with a solid build quality and support from JDSLabs. That’s why I went and recommended it. hi, thanks a lot for your review! it was very useful for me! ..only a problem, after reading i’ve a small question: what is the best amp for lissening to rock music (from the 60s to our days: bands like beatles, kinks, monkees to queen, deep purple and muse, radiohead, beck, arctic monkeys ecc.. 😛 ) with a pair of sennheiser hd598 between JDSlabs Cmoy and PA2v2? btw, i’ll use it as a desktop amp..
i’m searching on the web for a week now, and haven’t found an answer, sorry for the specific question. Do you find the HD598 to be a bit light on bass impact? If yes, then I think the JDSLabs is the better choice between the two. Hey mike, could you comment on the Fiio E11, Pa2v2 and JDSLABS cMoy on the following set-up? I would like to open up the soundstage and make instrument seperation better. Go with the JDSLabs cmoy. Just pulled the plug on these the other day, cant wait for it to arrive! Go with the JDSLabs Cmoy with the stock op-amp. I see an ipod owner is here, i was wondering which player would be better using the LOD; Sansa Fuze or Ipod 5Gen? Sorry, never compared the line out quality of the Fuze to an Ipod. Would I get better or worse sound from my AD700s if I used this Cmoy with the headphone-out of my Zune 120? You would get a better sound, yes. Wouldn’t the music be going through two different amps? The internal one, and then the Cmoy? That would distort, right? Would it be worth $90 (including everything) for the sound improvement? Yes it would pass on two different amps.. that’s why a player with a line out is better. I don’t think it would distort though. As for the dollar to improvement ratio, I can’t say. One man’s $90 is different than another’s $90, but the JDSLabs is one of the best bang-for-the-buck amp around. How is the Zune 120 any different than the 30 or 8 GBs? 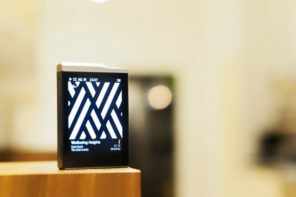 Sorry not too familiar with the Zune models. I don’t know. I didn’t think that it was different. A Head-fi member tried the Zune 8GB LOD cable with his 80GB and it didn’t work. Are there any audiophile portable CDPs that have a pure digital line-out? Many of the portable CD players have digital out. You just have to go out and find one. It’s like the band is playing around me at times, i can’t imagine that things actually get better!! Worth every penny! Now i have to find one of those rubber bands people use to hold things together. Glad to hear that… I’m happy whenever people get a good enjoyment from their gears. More people should really give the JDSLabs a try. There is a reason I made so many recommendations for it. Thank you, kind sir! Your help is indeed appreciated. And remember, let the interwebs be with you! What’s the story on JDS’s new amp…any further progress? We’re staying busy! C421 is on track for release to reviewers in October. In case you missed it, I posted a preview of the enclosure in August. Enclosure samples were approved last week, so we have about 3-4 weeks to go, plus final assembly and testing. There’s one minor holdup: I’ve demoed two prototypes to a few listeners, one with an AD8066, and the other with an AD8620 as the main opamp. Both are excellent in C421, so it really comes down to user preference. The AD8620 is more analytical, while the AD8066 is known for its emphasis on bass (fine quality, not amplitude manipulation, of course). Thus, we may release the amp with several opamp options. The original goal was to create an option-free amp. However, it’s impossible to please everyone with one configuration. Is there any difference in sound quality between the JDSlabs cmoy and the others on ebay from sellers such as Juice2214 or biosciencegeek? I’ve never done a direct comparison, but if they go by the same CMoy schematic the sound signature shouldn’t be too far off. They may use different components and op-amps, though, and those differences would show through in the sound. You have to get it direct from JDSLabs. I have no idea, you can try posting a want-to-buy in the local forum. A bunch of people got together for a big group buy a while ago, maybe some of the guys may want to sell it. Hi Mike, is it good for HD25-ii and AKG K240S? It should be good for the HD25-1. Never tried it with the K240S, but the K240S is fairly easy to drive so it shouldn’t be a problem. Yea, any recommendation of an Amp for HD25 and K240S? I cannot make up my mind for PA2V2 and JDSLabs. Get both? They’re not that expensive. Finally got JDSLabs, it is so great!!!! Mike, have you compare E10 with JDSLabs Cmoy? Maybe a more proper comparison would be to the E11 amp, no? I also compared the JDS to the E7 on that article so perhaps you can sort of make a cross-reference. Sounds good. ANything you want to ask in particular? was just wondering how good would the cmoyBB be compared to a graham slee voyager actually. Im not sure how good this cmoyBB sounds and whether it would actually be adequate enough for my needs. 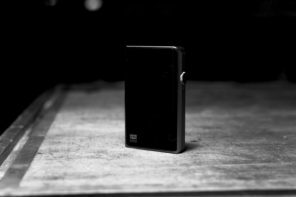 I do have a fiio E5 and i did not like it at all. So I’m wondering whether I should be going for this cmoyBB as an ‘upgrade’ from the E5 or just of for the ones like the voyager. I’ve read around on the voyager and it has been getting pretty good reviews but them cmoyBBs are pretty hyped about as well so its a bit hard to decide. Price point hands down the BBs win but if it does not perform as well as i would expect it then i would not mind saving up a bit more for the voyager. I’m open to any other suggestions of portable amps/dac which is anything around the $300 price point. I mostly listen to a mix of hip hop/chill out lounge/deep house/instrumentals. Yes the E5 is not really that good. I think bass impact is very important for your music and so I’d recommend something like the new Ibasso D-Zero I just reviewed. I am using a Shure SRH840 with an Ipod Touch 4G. I am looking for a portable amplifier. I would like to buy the cMoyBB wich severals op-amps. First question, which op-amps do you recommend ( about 8 )? Second, is it better to use the normal jack or the LOD? The stock OPA2227 on the CmoyBB is the best opamp among the few other opamps I’ve tried with it. And second, the LOD (line out) would be better. Thats a killer amp, But Why They don’t upgrade the case? 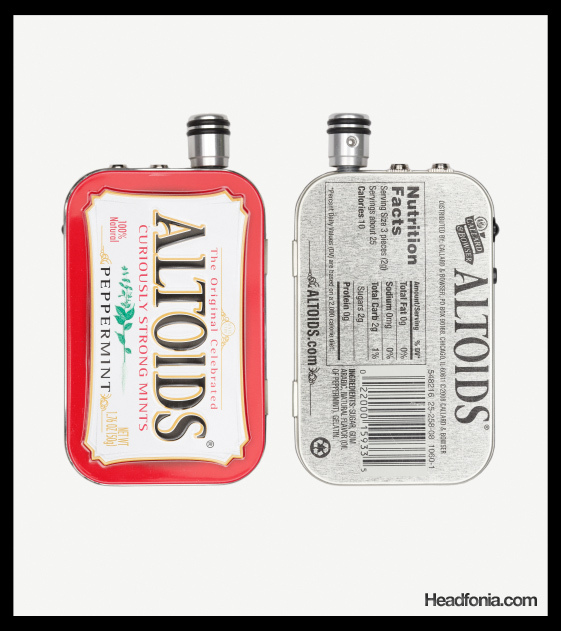 The Altoids case is nice when you are at home but for portability (in bus, train, walking) is not that good. I want a new version of Cmoy with slim case! I’ll pass it along to JDSLabs. Although I think it’ll be cool to have a Cmoy with a Wolfson WM8740 DAC. Interesting comment…I’ve never heard this before. They are still in design/pre-production process I think, but we should be getting one for a review. Part of the “charm” of this cmoy is its case! I wouldn’t want to see this change. 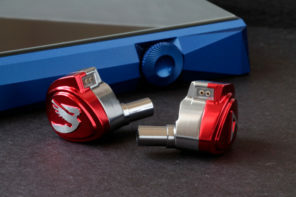 do you think the jds amplified volume is too much for iem when using with ipod classic? I think it works just fine, Pete. Hi,mike. Just one more thing to know is what connection cable of you when testing this gorgeous moy. Very interesting site. I’m glad I stumbled upon it. I’ve never owned an amp yet I’m curious if there’s another portable amp you would recommend for the HD 595’s? I may be getting other cans soon yet these are my current ones. You should try the JDSLabs Cmoy then. It’ll improve your listening experience with the HD595s. Hi, thanks for the great review! I have one of these cMoys on the way 🙂 Regarding iPod/iPhone connections, do you have a preference or know the difference between using a standard m2m 3.5 headphone jack to amp setup vs. using a line-out dock cable to the amp? Do you know of a link online that sells a DC Power adapter for the cmoy that has a 220 volt input? I found a 12V 1.5A plug for 220V and i am now enjoying the amp to the max with the hd600s! Total musical Bliss aaaaahhhhh. It just proves that one doesn’t really have to spend big bucks to get a musically satisfying system. I think the Cmoy name makes it a bit underrated, but more people should give this amp a try. Mike, regarding your comment on how the JDS Labs Cmoy is best paired with the HM-602 instead of the iPod Classic. 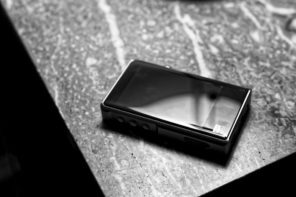 Is there a suitable amp alternative for the iPod Classic? I think the HM-602 pairs beautifully with the Ipod Classic. DIY? Was it your first DIY? Guys, i have an iPod classic and a pair of ie4. Should I pick this one? Will i notice the difference? Perhaps the difference would not be too obvious. as you have recommended, i got this cmoyBB from jds labs and theyre great! however i have trouble looking for a suitable power adapter for this. It’s probably just as easy to find one in a local hardware store. 12V 1amps adapters should be very common, and you can save on shipping and get it faster. I’m searching for a headphone amplifier for under $150. I’m probably going to use it for on my desktop, also for making music. I really dig the warm sound the CmoyBB has but i don’t want too much coloration, when i’m making music it will give trouble with EQ’ing and whatnot. So i will either buy this or a super clear, neutral amp for under $150. Under $150, try the PA2V2. I think that’s among the most neutral amp I hear under $150. And if i say under $200? I think in general the truly neutral colorless amps are the ones in the $1K region. Mike, great review. I’ve been wondering if the PA2v2 or this Cmoy would be better for the AKG K550s. Thanks! I am using the Cmoy the my K550 right now, and it is a nice combination. Detail is good and the sound is spacious. What DAC do you use and what music do you listen to? The weakness of my setup is the DAC which is the headstage cable dac. It is a bass lite dac which means my K550 puts out even less bass then usual. I listen to a lot of vocals and a bit of hip-hop, pop, and dubstep. I will use this with a Sansa Clip+, iPod, and PC. I don’t have a DAC yet, but I could use some suggestions under 60$. I would like to enhance the bass a little. Ummm, vocals are good with the K550. Mike is right that the mids could be more forward, but I still think it works great for well recorded vocals. 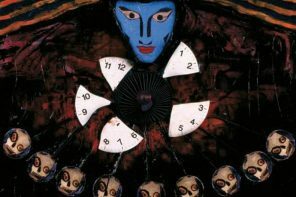 American Beauty by the Grateful Dead is stunning. The Cmoy would do very well for this. For pop, hip hop and dubstep, I’m not sure the K550 is a good headphone. I would trust Mike or L over what I say, but the bass on the K550 will never be very killer. It is clear, tight and good enough for me, no matter what you do, it will never be known for its bass. 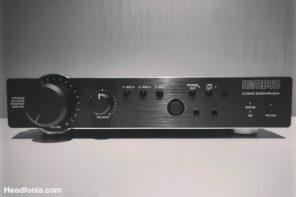 The only DAC I know of under 60$ is the HE-101. I would say, if you could do without the portable amp, get the Fiio e10. You can get it for 70$ at amazon.com, and it has pretty decent bass, and a fun sound. If you absolutely need the portable amp, you could try the fiio e17 for 140. It is like the e10 except (according to Mike as I have never used it) it has better bass, mids and it can be used as a portable amp. From my very limited experience, I don’t feel it is worth adding an amp to an ipod for easy to drive headphones. With the hd202’s and the K550, the Ipod and the Cmoy, while yielding a slightly bigger sound and soundstage, also makes the weakness of the ipod’s sound more apparent (it can sound really congested, like the instruments are on top of each other). Like I said, this is just my two cents. Thanks for helping me with the answer, Trent. I think your impressions are spot on. Just something to add over what Trent said. If you want more bass, try the ALO National amp. i use CAL (32ohm) and Hd660(150ohm), i’m confuse to order STOCK BUILD or LOW-Z CONFIGURATION, if i order the build stock, and if i use it for CAL, isn’t it will break the amp? What you mean by CAL is the Creative Aurvana Live right? I haven’t tried it with the Cmoy, but from my experience it was an extremely easy headphone to drive. The issue with the impedance configuration is to make sure that the amplifier can supply enough current, and in the case of the CAL, I don’t think the Cmoy would have any issue at all with providing the current. The CAL is very easy to drive. hi mike, i use CAL (32ohm) and Hd660(150ohm), i’m confuse to order STOCK BUILD or LOW-Z CONFIGURATION, if i order the build stock, and if i use it for CAL, isn’t it will break the amp? Will this thing satisfy HD650? How much % of HD650’s performance will this thing reveals? How it compare to fiio E10’s output? 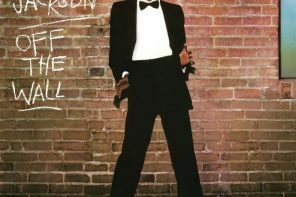 I can’t put a percentage, but it’s enough to make an enjoyable listening time. Just get that HD650 & pair it with cmoy, Mike? Fiio E10 doesn’t have that output, does it? Uh, I forgot to ask do you need a better value DAC pairing with cmoy or just cmoy with laptop output will do nicely? You can pair it with the E10 or drive the HD650 from the E10 directly. Can it be concluded as “quite good” performance? By entry level standard? Yes it’s good. Use a 18V power adapter to get even better dynamic range. You’ll be surprised at what the Cmoy can do. Which one more potent cmoy + E10 or cmoy + hifiman 101? All cmoy has power adapter input? Last time I saw them as 9v battery config. 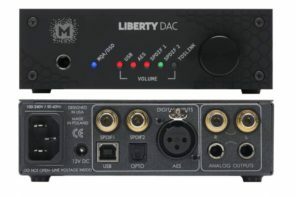 I’m sorry isnt E10 dac/amp combination, and you add more ‘amp to them. Double amp? While we’re here to help, I think you need to read around the articles and not be lazy asking all these questions. I read articles, but you knew different article said different impression or opinion. Will look for cmoy. Yet you talk differently & prefer px100-ii because of practical size while I asking about comfort & sonic. You were asking about the E10 double amping. I knew but frankly, I have desire jump to HD650 than HD25. I will search informations for cmoy & available dac 1st before make that jump. for specific information on the CmoyBB and its various configurations. You don’t understand what I’m saying. If you read the E10 article, you will know that the E10 comes with a LINE OUT. Hence no double amping. 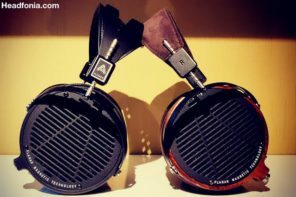 Funny thing – the little $50 headphones cost 1/10 to 1/40 of what the big hi-fi headphones cost, yet it takes just about as much time to evaluate them because they have to deal with the same music and gear and all the complexities that entails. Why bragging $2000 headphones? Direct buy Might Orpheus! Why stop there? Go for the gold – Stax SR009. What is the point, man? hi mike after reading Q&A below, can i conclude that cmoy is better than fiio E10 amp section? Opamp change would make the cmoy faster. But I have yet to find something as full bodied and as smooth as the OPA2227. The OPA627 is smoother than the 2227, but the pace is about the same and the soundstage is smaller on the 627. You can try something like AD797, AD8066 if you want a faster pace. But you need to ask John@JDS if those opamps will work, since I don’t remember the voltage requirements on the top of my head. Should just do a batch group buy. I think 2227 is not expensive. Perhaps $5-$7. how does it compare to the fiio E17 ? I’ve posted that comparison on the E17 review. Sennheiser HD25-1 II? Those are the portables I usually take out with me and I was looking for a nice budget amp. Yes it’s nice. Slows the pace down a little but adds a nice spacious sound. You should look at the PA2V2 I think it pairs better with the HD25-1. For the DAC, it can improve the source quality. However this wouldn’t be optimal if your music files are low bit rate MP3. It’s a different story if you have higher quality music files, commonly written in WAV, FLAC, or ALAC format. For the amp, that will depend on which impedance version of the DT990 Pro that you’ll be buying. Mike has an article here that talks about impedance and its correlation with amping. If you’ve read that, it’ll probably be easier for you to pin point an amp. Thanks for the answers. I’ve ever used alac or wav formats for the music. I searched info about impedance and other things and I’ve bought fiio e10 for beyers. Now I’m really happy for the results, the sound is fantastic and I’ve discorered new sounds in my music that I’ve never heard before!! Hey, I own Brainwavz HM5. I am looking at buying my first amp. I am currently using an iPod Classic 5th generation and sometimes a Galaxy S3. I’m deciding between a Fiio E6 and this JDSLabs Cmoy. Do I need an amp? And if I do is it worth the extra money to get the JDSLabs Cmoy? I think it will be easier to help you if you can tell us what you think is lacking from your HM5 that made you want to use an amp. Just realized that my “indie” DIY 9V battery powered Cmoy has a DC socket. Gave it a try with random 12V 2Amp wallwart, got me a nicer sound indeed! A lot powerful, minus the distortion I heard before on high volume. Is it the effect of using higher voltage? I use this small cmoy to drive 150 ohm Beyer DT880 btw. Power supply voltage, I think it depends on the op-amp being used.. I don’t know though, I may be wrong. 12 volts should be okay. But double check it with the opamp datasheet to be sure. What about the BSG (biosciencegeek) CMoy? Some say they are better than JDS and cheaper too with more customizable options. The regular build will do just fine. It is a nice amp for the Senn. 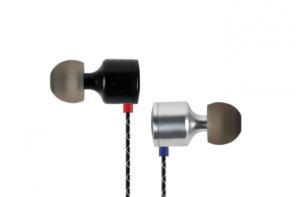 What about pairing a pair Beyer Dynamic DT 770 Pro 80 Ohms. Would it be a better match than the JDS 02? Hello, I have a question. Spec wise, what would be a better bang for the buck? JDS Labs Cmoy or Topping NX3? Hi – wondering if this would be better than a Cayin C5 for an Opus #1 paired with Audio Technica 50’s (and 1More Quads for IEMs). Or whether either amp would even make a discernible difference.